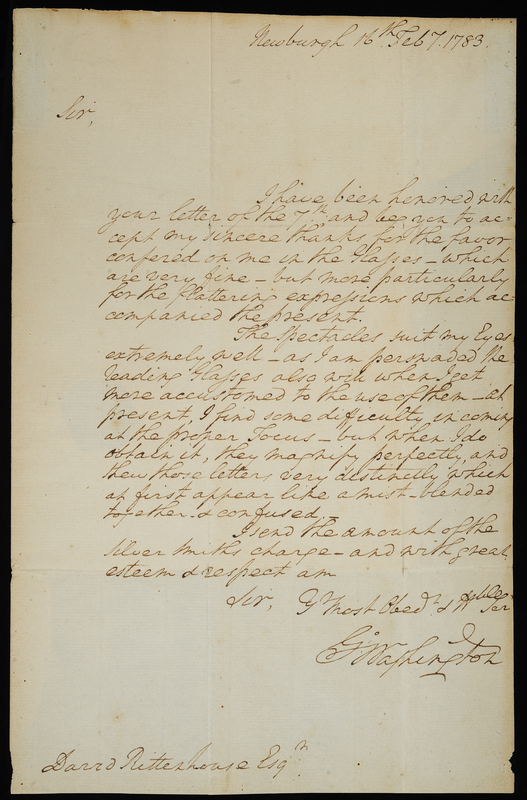 The Institute’s manuscript collection provides primary source documentation of the American Revolution from the points of view of its participants. Official communications transmit military orders and intelligence about the enemy. 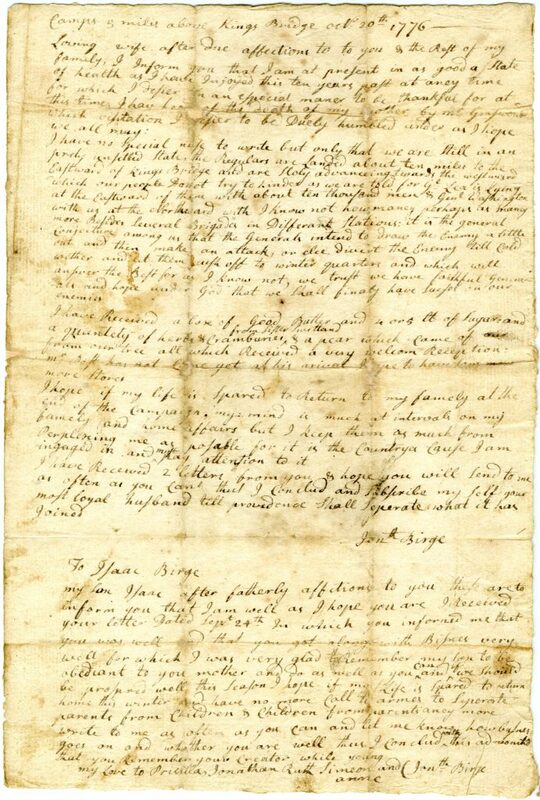 Personal letters home reveal soldiers’ hopes and fears. 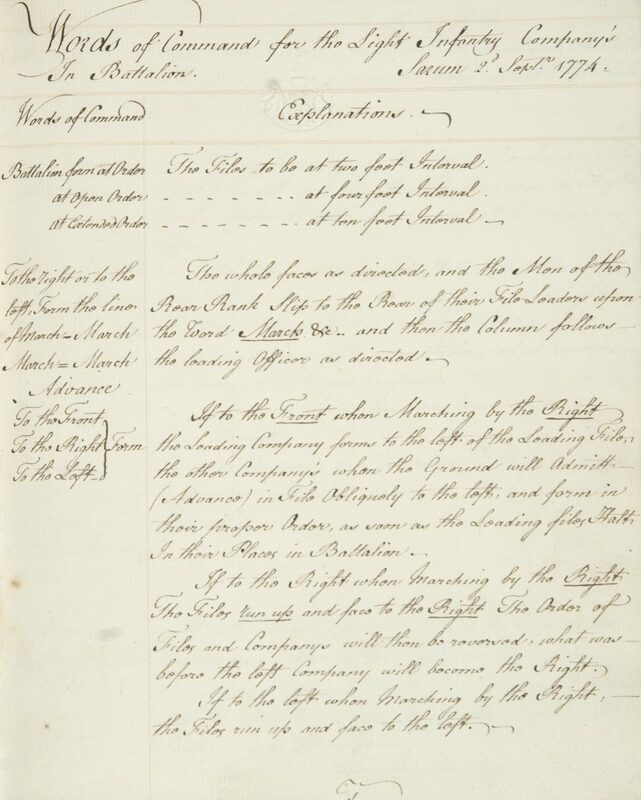 Diaries offer details of battles, marches and camp life. Post-war memoirs recount the events with perspective and hindsight. Muster rolls, clothing and equipment accounts, hospital registers and other records support research on military organization and management. A special strength is a collection of more than forty-five American and British orderly books, which document the day-to-day operations of individual units. The study of the art of war is reflected in cadets’ exercise books, manuscript extracts from published treatises, and original works on the theory and practice of warfare by military officers. The finely executed illustrations of many of these works demonstrate that the art of drawing was considered an essential part of a military education in the eighteenth century. 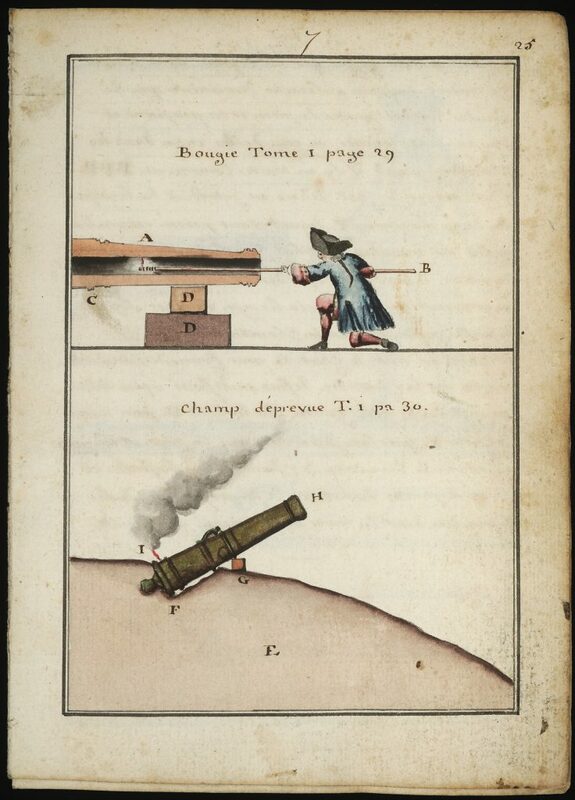 This watercolor drawing depicting the test-firing of a cannon is part of a volume of plates detailing all aspects of the production and use of artillery. Labeled “Tome 2,” the work is thought to have been intended for publication with a text volume, now lost. The author, baron d’Espiard de Colonge, was field marshal and director of the Guyenne Artillery in France. 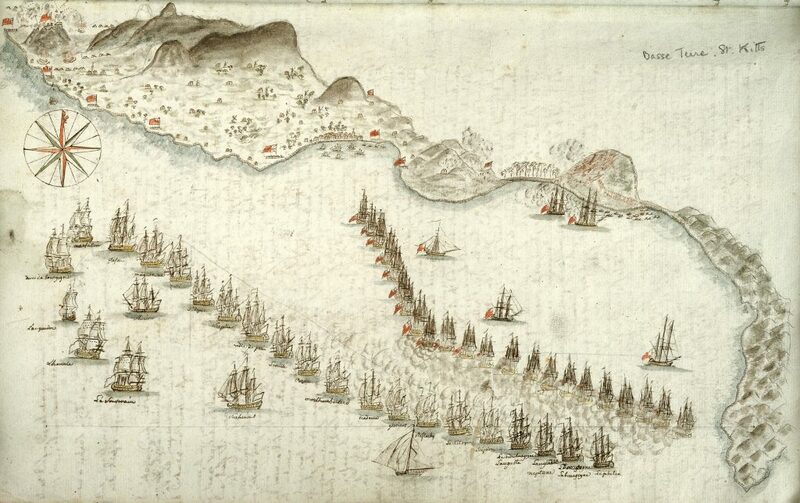 This double-leaf plate of an order of battle is part of a two-volume illustrated manuscript on military tactics and maneuvers, the art of laying out camps, and the construction and defense of field fortifications. The author, a lieutenant general in the French army, published several treatises on the art of war during the era of the Revolution. In the years following the Seven Years’ War, the British army sought to reform infantry tactics to use elite “light” companies within foot regiments. During the summer of 1774, Maj. Gen. William Howe established an infantry camp at Salisbury to train the selected companies in the new method. Within two years Howe’s reorganized infantry faced its first major challenge, when he became commander in chief of the British forces in America. 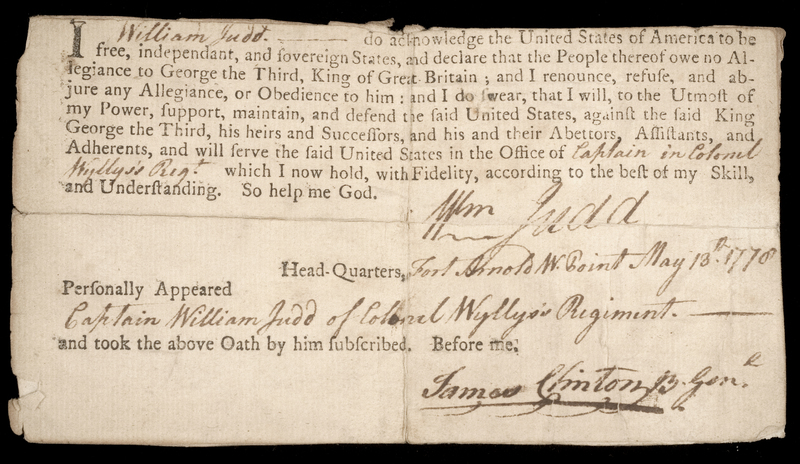 This manuscript volume bears the ownership inscription of Lt. Gen. George Lane Parker when he was colonel of the Twentieth Regiment of Foot in 1778. 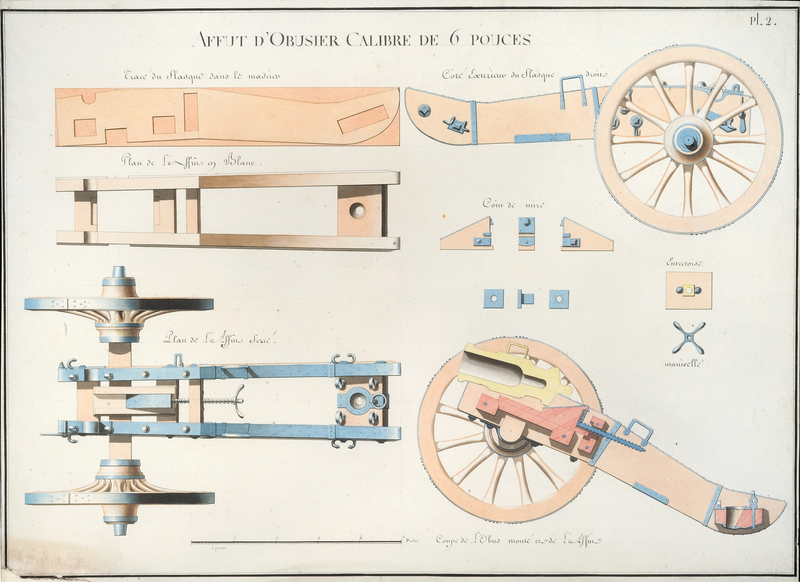 This plate details the construction of a carriage for a six-pound howitzer. It is part of a collection of 160 large-format measured drawings for the patterns and designs of sea- and land-service artillery used by the French forces during the era of the American Revolution. The plates document the shift from the Vallière system to the innovation of lighter, more maneuverable artillery promoted by Jean-Baptiste Gribeauval. This is one of six letters written by Capt. 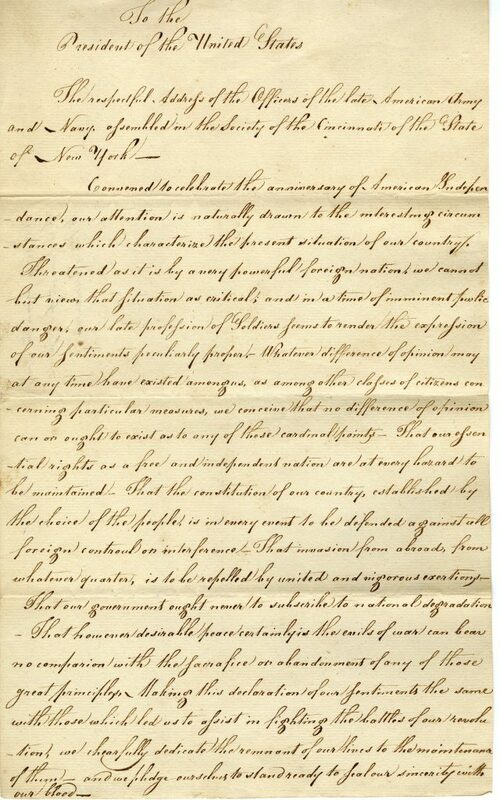 Jonathan Birge of Connecticut to his wife describing the activities of his regiment during the difficult New York campaign. Emotions of love and loss are intertwined with details of company activities, troop movements, requests for supplies, sickness and causalities. Anthony Morris, Jr., served in the Pennsylvania militia under Col. John Cadwalader. During a charge against the British during the Battle of Princeton, Morris was stabbed in the neck by a bayonet and hit with grapeshot. He was taken to the nearby Thomas Clark house where he died three hours later. This inventory of the possessions on his body is signed by the attending physician. 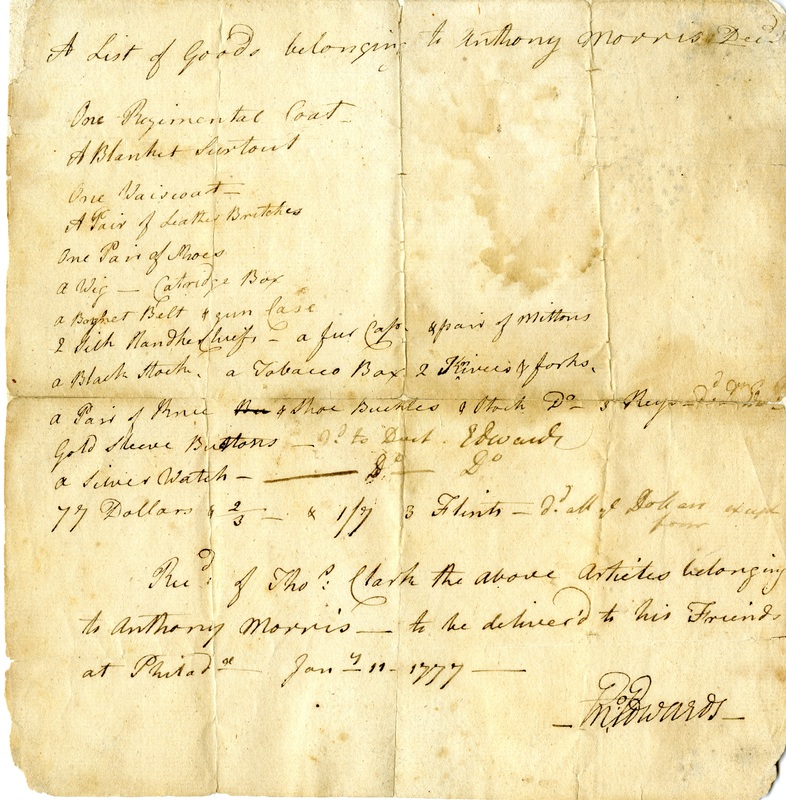 The list includes Morris’s uniform, shoes, wig, cartridge box, belt, fur cap, mittens, tobacco box, knives and forks, buckles, keys, buttons, flints, watch and seventy-seven dollars. This 129-page bound manuscript lists more than eight hundred names of soldiers, organized by regiment, who were admitted to the hospital for treatment on September 16, 1777—five days after the Battle of Brandywine. 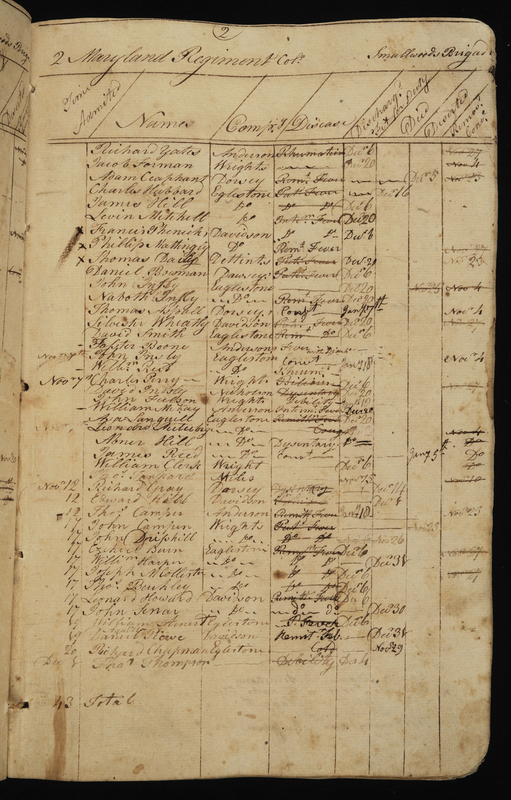 The volume continues with a more detailed register that includes names, date of admission, company, diseases and reason for discharge (fit for duty, desertion or death) for some 679 soldiers admitted for treatment between November 1777 and early January 1778. 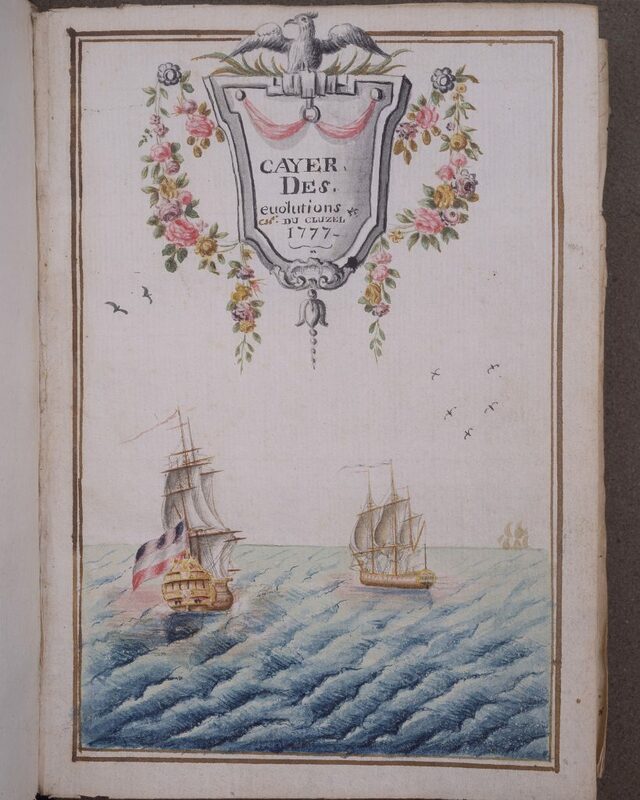 The author of this notebook delineating naval formations and exercises was a lieutenant de vaisseaux in the French navy who served in America during the Revolutionary War. He later became an original member of the Société des Cincinnati de France. This set of five bound journals kept by a French army engineer with Rochambeau’s forces documents his experiences in America from his arrival at Newport, Rhode Island, in 1780 through his march with the allied armies from New England to Virginia to take part in the siege of Yorktown. It also includes his later travels in Virginia with the marquis de Chastellux and the French army’s march back to Boston. 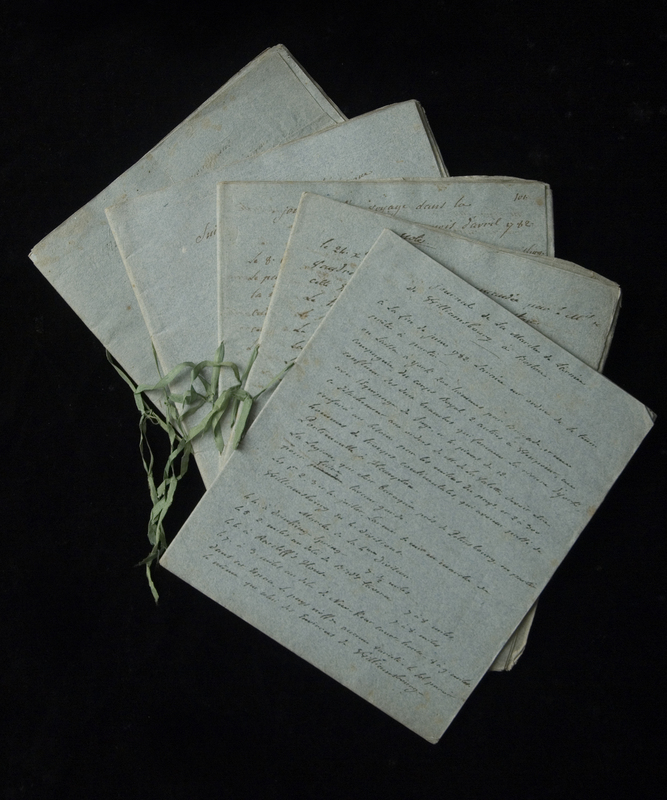 The journals were probably written after his return to France and appear to have been drawn largely from a group of letters (also present) he had written to his family during the war. This full-page watercolor drawing depicting the engagement between the fleets of de Grasse and Hood at St. Kitts-Nevis, January 25-26, 1782, is part of the manuscript journal of the naval operations of the French seventy-four-gun ship Souverain, commanded by Jean-Baptiste, baron de Glandeves, during the Revolutionary War. 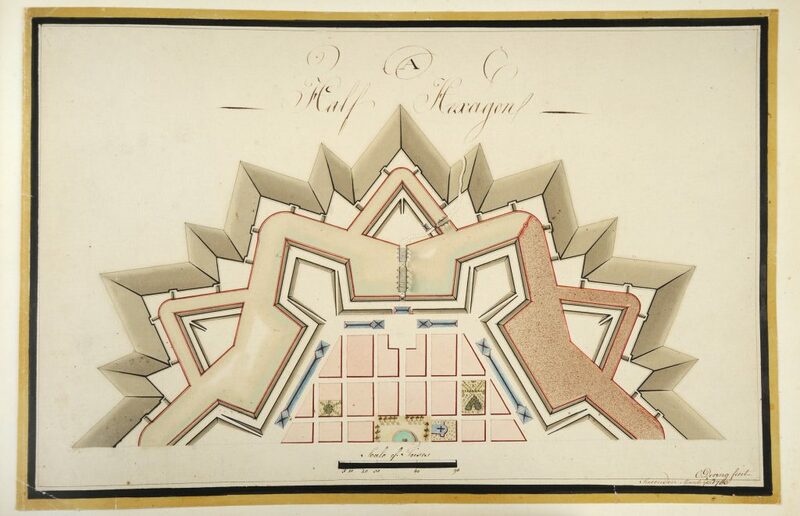 This is one of forty-eight watercolor drawings of fortifications done by a student at Lewis Lochée’s military academy in England. Dering was a cornet in the Sixteenth Light Dragoons at the time and would go on to become a cavalry commander and a member of Parliament. 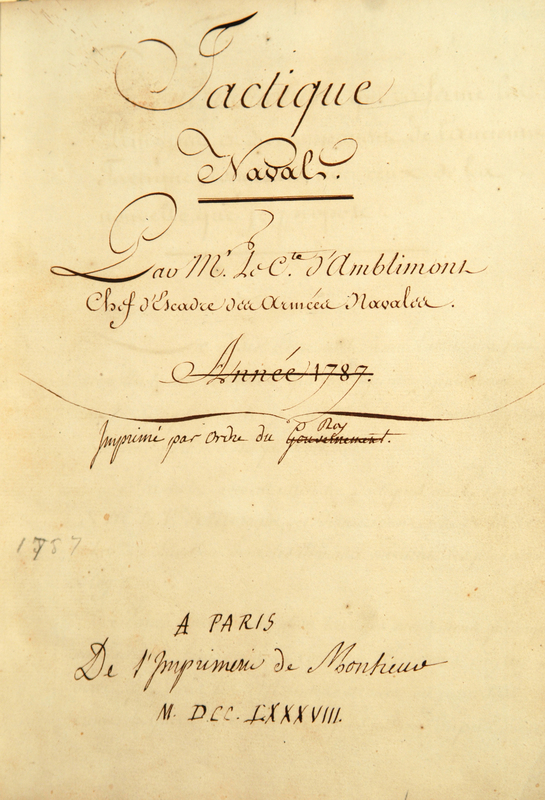 This manuscript of the comte d’Amblimont’s treatise reflects his experiences as a French naval officer during the American Revolutionary War, including a new and original system of organizing a fleet into pelotons, or tactical groups of differing functions, as opposed to the set three-column order of sailing that was in general practice. 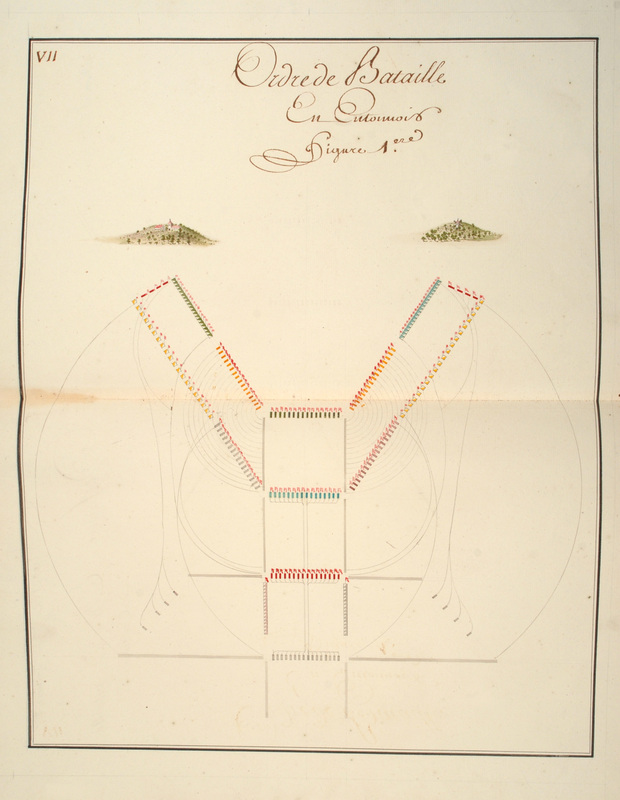 The work was published under the same title in 1788. This manuscript bears annotations for the printer, including a correction in the publication statement in which the word “Gouvernement” has been crossed out and “Roy” is substituted.